I’ve written about several parks in Minneapolis that are no more. Since then I’ve been asked if there is a list of those “lost” parks. The short answer is, “Not until now.” Here’s the first part of an alphabetical list I’ve compiled from park board proceedings and annual reports. 19th Avenue South and South 1st Street. 1.0 acre. The park board’s 1948 annual report noted that the site near Seven Corners had been graded and frames had been installed for swings, teeter-totters and slides for small children. The plan was to complete the playground in 1949. This parcel was leased specifically for use as a playground. I don’t know the terms of the lease, but it was still included in park inventory as leased land in the 1964 annual report. The U of M’s West Bank softball fields are now near the site. 19th Avenue South at that point is the approach to the 10th Avenue Bridge over the Mississippi River. Bassett Triangle. 7th Avenue North and 7th Street North, 0.03 acre. 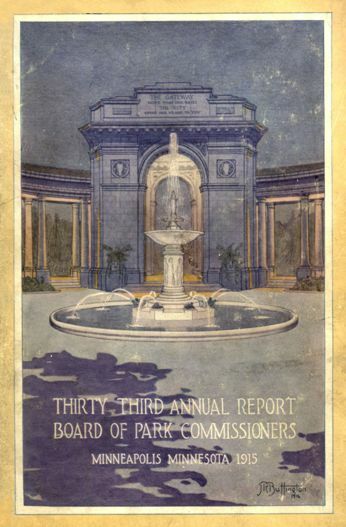 Acquired from the city council December 3, 1924. Returned to the city council in 1968, after the board hired appraisers in 1967 to try to sell the property. The site is now occupied by a Wells Fargo Bank. The property was named for Joel Bean Bassett, who owned much of the land in the vicinity in the 1800s. Bassett’s Creek, underground not far away, is also named for him. Bedford Triangle. Orlin Avenue SE and Bedford Avenue SE, 0.01 acre. This little triangle in Prospect Park was still carried on the park board’s inventory the last time I checked, but it was listed as “paved.” There is no visual evidence of the triangle. Read more about this and other triangles in the meandering streets below Tower Hill. Brownie Lake (partial). Theodore Wirth Park west of Brownie Lake and south of Highway 12, 32 acres. The land was sold in 1952 to the Prudential Insurance Company for $200,000 and some additional land. The park board bowed to intense public pressure to sell the land beside the lake. 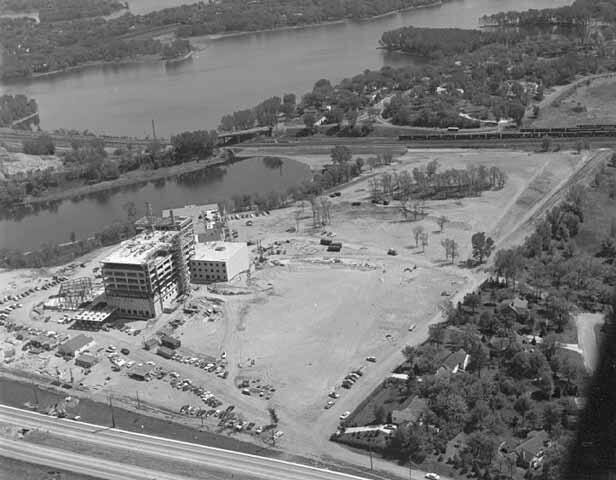 Prudential had made it clear that the site adjacent to the lake was the only site it would consider for its offices in the city. Ultimately the park board was convinced that the benefit to the Minneapolis economy was a greater good than keeping the land as a park. The board justified its action in part by asserting that with the growth of traffic on Highway 12 (now I-394) and the widening of that road, the land west of Brownie Lake had already been isolated from the rest of Wirth Park anyway. Cedar Avenue Triangle. Cedar Avenue and 7th Street South, 0.02 acre. The triangle was offered to the park board by Edmund Eichorn on April 15, 1891. After delaying a decision for a couple of months, the board agreed to pay Eichhorn $2,394 over ten years without interest. The triangle, adjacent to what is now the Cedar Avenue exit ramp from I-94 westbound, was sold to the state highway department in 1965 for $1,000. In April of that year the board approved a resolution to sell the property for $1,000 plus “other valuable considerations.” Later that year the board approved dropping the “other valuable considerations” clause. Crystal Lake Triangle. West Broadway and 30th Avenue North, 0.05 acre. The triangle was supposedly purchased July 21, 1910 and sold to the state in 1962 for $2,700. It once sat at the edge of what is now the hideous intersection of Theodore Wirth Parkway, West Broadway (County Highway 81) and Lowry Avenue. Imagine if Phelps Wyman’s 1921 plan for that complex intersection had been used. What a difference it would have made in that part of Minneapolis. It would’ve been gorgeous. Dell Place. Dell Place between Summit and Groveland avenues, 0.04 acre. Transferred from the city council April 27, 1883 when the park board was created. Citizens near the tiny lot petitioned the park board in 1907 to plant and maintain the grounds, which the park board agreed to do — if residents of the area would first pay to have the parcel curbed and filled to street grade. The street triangle was sold to the Minnesota highway department for I-94 interchanges in 1964 for $1,350. The park board had rejected the state’s first offer of $450. The park board’s appraisers valued the land at $2,250, but the park board accepted an internmediate figure instead of proceding to court with litigation. Elwell Field I. East Hennepin and 5th Avenue SE, 3.7 acres. Purchased in 1939 from the Minneapolis Furniture Company for $5,000. Sold to Butler Manufacturing in 1952 for $55,000. The somewhat isolated field, surrounded by industrial buildings, was sold with the promise to the neighborhood to acquire another playground nearer Holmes School. Eventually the land adjacent to the school was purchased as a playground. The school on the former Holmes site, built in 1992, is now named Marcy Open School. Elwell Field II. 9th Avenue SE between SE 4th Street and SE 5th Street, 1 acre. The former site of Trudeau School was acquired February 4, 1953 in a trade with the school board. The park board gave up Sheridan Field next to Sheridan School at Broadway and University Avenue NE for the Trudeau property. 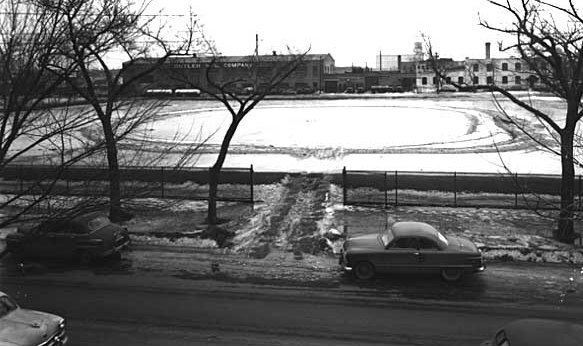 The second Elwell Field was condemned by the state highway department for I-35W in 1962. 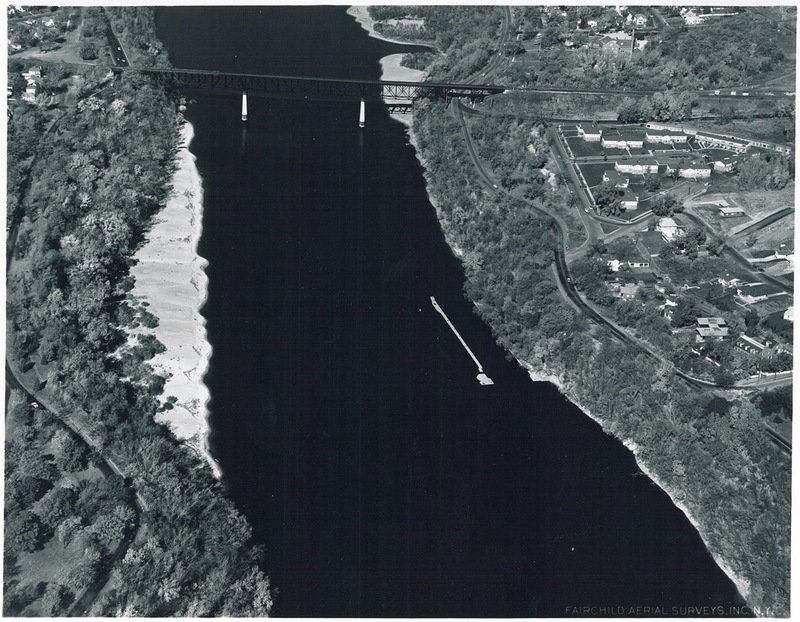 The park board accepted a negotiated payment of $125,000 for the park in 1966. Franklin Triangle. Franklin Terrace and 30th Avenue South, 0.05 acre. Transferred to the park board from the city council August 13, 1915 and accepted and named by the park board September 6, 1916. Taken by the state highway department for I-94 in 1962 in exchange for $1 and “other valuable considerations” again. The Gateway. Hennepin and Nicollet avenues, 1.22 acres. There is still a Gateway park property at Hennepin and 1st Street South, but it’s not in the same location, so I consider this original Gateway a lost park. 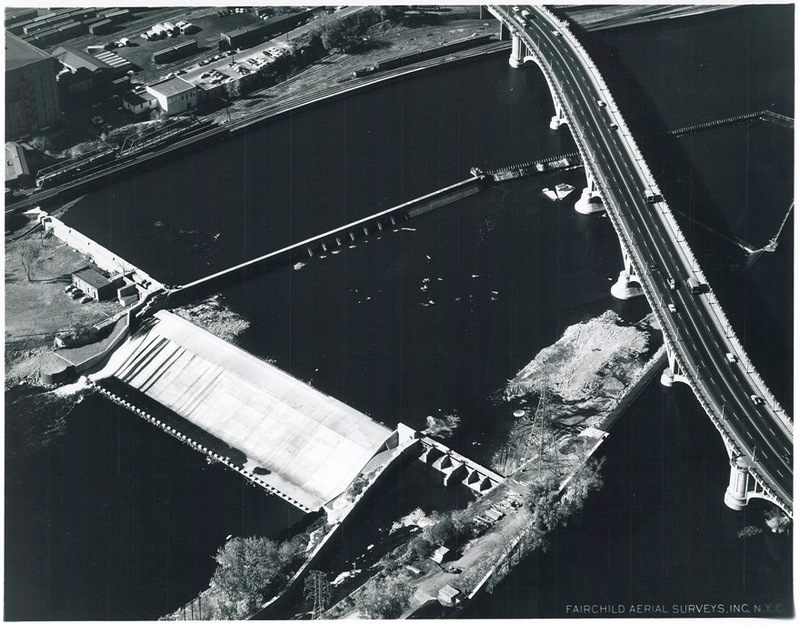 I have already provided the outline of the story for the original Gateway on the history pages of the Minneapolis Park and Recreation Board’s website at minneapolisparks.org. Groveland Triangle. Groveland and Forest avenues, 0.21 acre. The triangle was purchased in November 1910 for $8,979. It was sold to the state highway department for the construction of I-94 in 1964 for $8,900. That’s all for Part I of Lost Minneapolis Parks. Part II — H-R — will be out soon. 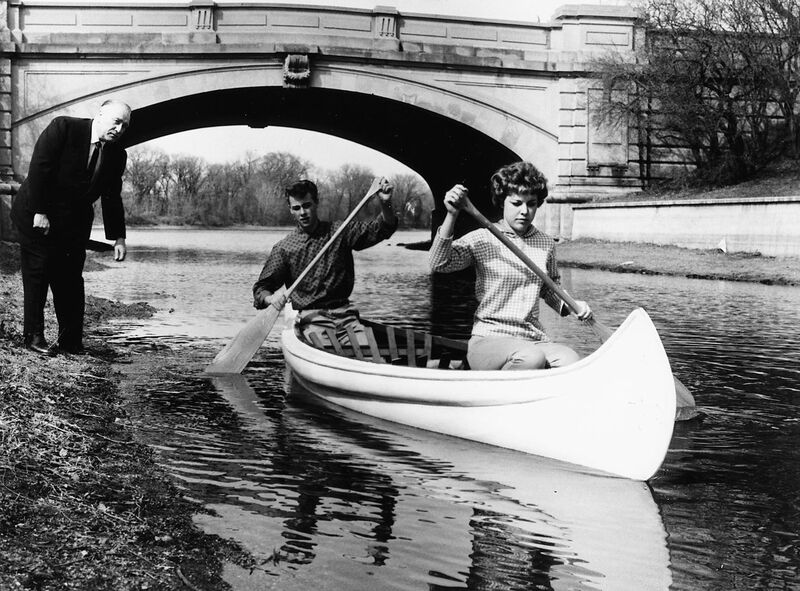 Historical profiles of all existing Minneapolis parks can be found at the website of the Minneapolis park board. Each park has its own page with a “History” tab. If you remember anything about any of the lost parks mentioned here, please send me a note so we can preserve something of those parks — especially the property beside Brownie Lake. Any memories before Prudential moved in?